Praised as "excellent" on Forbes.com, this concise interview guide gives listeners proven tips and clear instructions to prepare for breakthrough interviews. Job seekers will learn to identify and communicate their unique strengths, their "key selling points"; understand why employers ask many of the most common interview questions - and how to answer with confidence; succeed with video interviews, behavioral interviews, and panels; build an arsenal of success stories; and ace every step - from the first screening to accepting the offer. 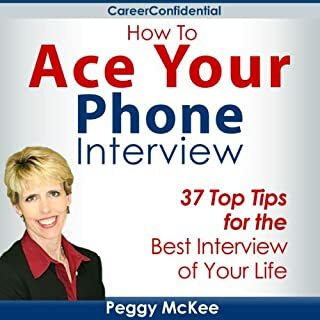 In this Amazon best seller - updated for 2019, the author of America’s largest career advice newsletter coaches you to achieving your best performance in job interviews without gimmicks or agony. 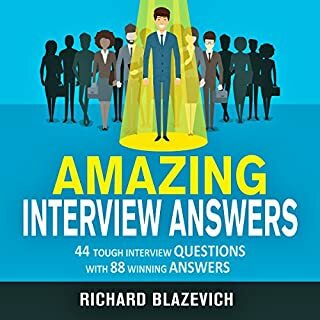 Based on 15 years experience, the feedback from millions of readers, and over 100,000 HR professionals, recruiters, and hiring managers, Ladders 2019 Interviews Guide provides easy and effective advice for fast-rising and mid-career professionals from the leaders in $100,000-$500,000 careers. Here's a quick question: What would you do if your boss ordered you to do something that is against your values? No, that's not a trick question because it is actually asked by most interviewers! If you are not sure what the best answer is, then what you can do is find the right guidance. The good news is that you can find the help you need from this book! 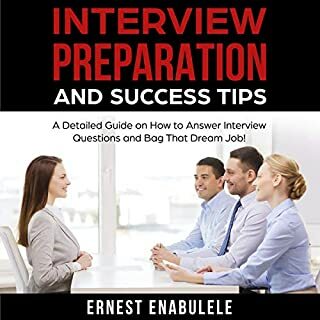 In this book, you will discover the steps on how to prepare for any interview. But most importantly, you will be able to answer the most commonly-asked interview questions. You look good. Your resume is impressive. You fit the job description perfectly. But that's not enough to get the job you want. You need 101 Great Answers before you walk through the door. Great cram session for an interview! 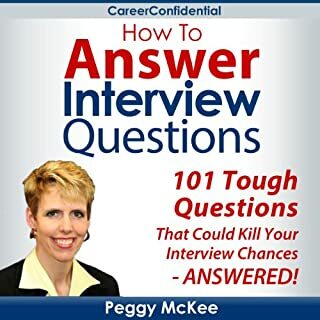 The STAR interview method is used by millions of people all around the world to answer interview questions and tell stories. Fortune 500 companies (Amazon included) recommend using the STAR method to answer behavioral questions. Whether you’re just starting your job search, already interviewing with a company, or looking for a different way to stand out - there are a dozen different ways you can incorporate the technique into your life. Any time you present yourself verbally or in written format, doing it in a narrative/story format will open people's ears. Learn from my 20 years of interviewing and hiring people just like you, across multiple Fortune 500 companies. Don't take my word for it - hear the real stories of how people landed their dream job with this information. You're qualified for the job - it should be yours. Let me show you what goes through the head of the interviewer so you can use it to your advantage. An advantage others won't have. 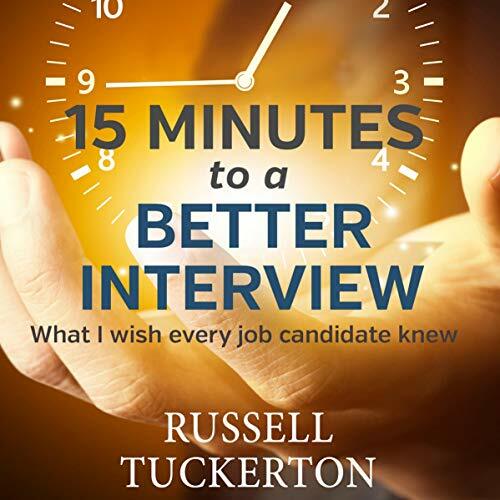 I've captured a highly condensed set of recommendations in this book that will put you in the very small set of interviewees that will stand above other candidates. Whether you are seeking an entry level or an experienced management position, these recommendations will give you the edge. I see "bad" behaviors across all levels of interviews, without candidates even being aware of what they are doing that prevents them from being hired. You don't need to memorize 101 interview questions and answers. You need actual experiences from the other side of the table to guide you. Listen to hiring managers. Is the book you're reading now written by the person who decides to hire you, or by someone else involved in the process such as a recruiter or human resources role? If so, their guidance may get you an interview, but won't give you insight into what goes through the manager's head. I’m an employer who is up to his 11th book on hiring skills. Decided to listen to this advice to candidates. From someone that sits on the hiring side of the table, I can tell you that this book gives very solid advice. Canned answers are known to people that hire - we spot them and it reduces your credibility. Bad or inexperienced hiring managers hire if they “like you” and those they hire often fail quickly as a bad job match. Good hiring managers look for (1) skills and (2) cultural fit (character). One thing. Do the cover letter. It helps personalize your resume - shows you’re interested in the company and why. Lack of a brief direct cover letter stating passion for the role and a few matching past skills might make the difference between you and another. Only takes a minute - check grammar and spelling if the work entails writing ability. Good luck. I'm definitely going to listen to this book again. It is packed with information and insights to the point that I listened to one chapter twice and still felt that there was more that I could learn from those same words. Tuckerton doesn't feed you the answers to pass the interview. He teaches you how to craft your own answers that address the real questions and highlight the right skills. He's teaching critical thinking and directing you on what to think about. 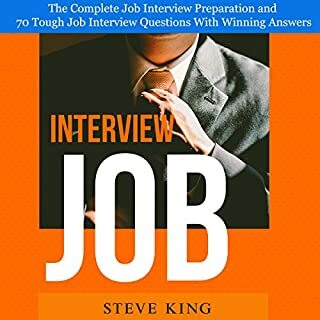 I'm looking for a new job right now, and I'm likely going to sit down with the Kindle version of this book and outline some answers to common questions. The narration is great. Abernathy is a pro and sounds authoritative in his delivery. If you had only one day to prepare for an interview (or don't want to bother reviewing 200 interview questions to pick the ones that are probably relevant to the job you're applying for), this covers the essential advice you need. However, some of it seems obvious like not asking about vacation, flex time, and benefits during an interview... wait until you get an offer for the job. Very straight to the point, and good advice on preparing for the whole interview process. The author gets right down to the task at hand and does not tell too many "builder" stories. Very good direct book. The author, walks you through each and every stage of an interview process, and gives you an insight of what to expect. One can easily go over this books several times. He’s precise, clear , concise, and explains each stage with a purpose and goal of how you would want to make the best impression to your future employers. Definitely recommend this book to anyone whose looking to impress during their interview. Based on previous interviews throughout my career, the Q&A was nearly, if not a perfect, mirror image of the predicted questions and the recommended responses. The interviews I have had that never went further, literally every one I can now recall where I had provided one or more of the listed bad/wrong answers in this book. This is creepy in terms of how spot-on Mr. T is throughout given his very clearly-distinguished position of a Hiring Manager versus those that are not the final decision makers. If you are at all interested in this topic, this is a fantastic resource for you! I listened to the audio book during some commutes, and it was easy to understand. I am excited to continue to grow in my skills in regards to interviewing and am abundantly grateful for these tips! I found this book to be very informative. It helps the reader understand more about where the hiring manager is coming from and their thought processes. It presents good basic information, from how to dress to what you should avoid talking about in an interview. Perhaps most important, it addresses a variety of interview questions, giving good and bad answer examples. Not an exciting listen. The narrator comes off as somewhat passionate, yet upset about the subject, and not in a way that makes you really want to listen to more, but in the way of “you know you need to listen if you want to improve.” Kinda way. 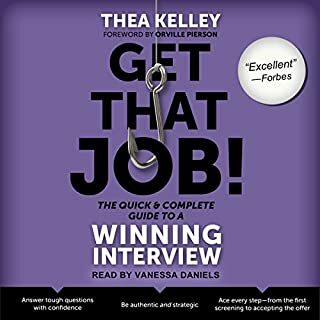 This audio book has provided me an insightful, direct and concise information on what is expected from an interviewer (hiring manager's perspective). It is well written and well narrated, The points discussed is worth in gold . I had less time and was casual to buy the book, but I think it is one of the best books on interviewing..
well structured & consise. definitely feel more confident going into my next interview. enjoyed the narrator.